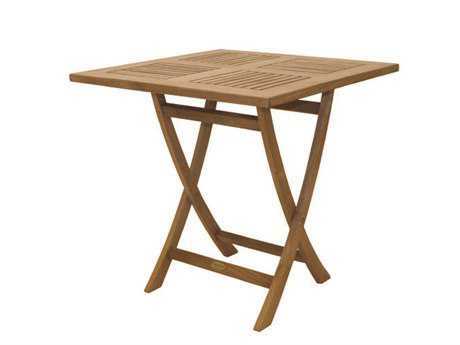 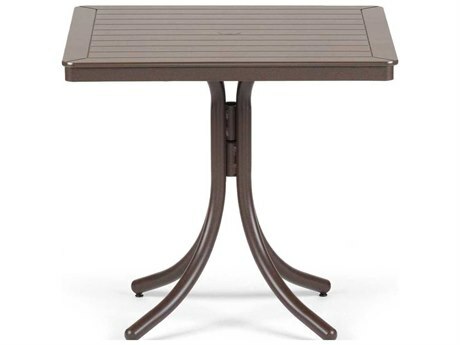 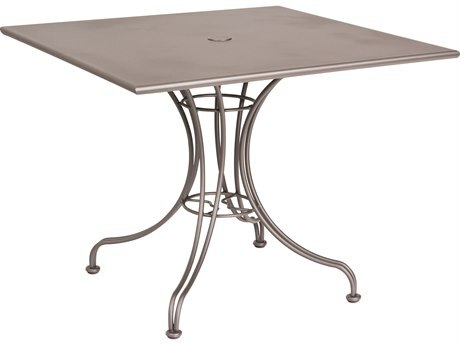 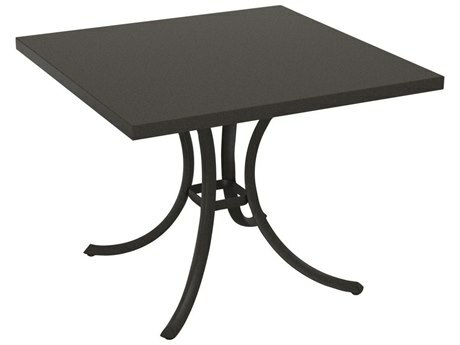 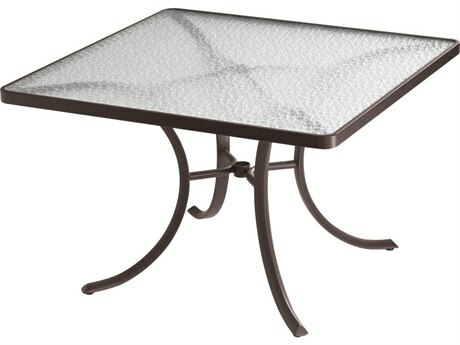 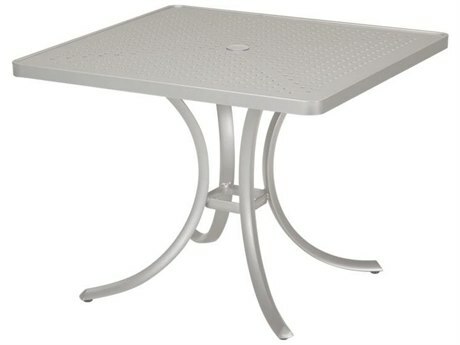 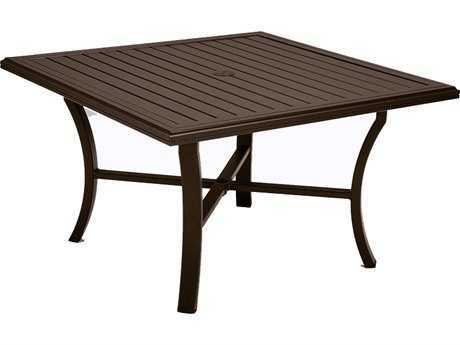 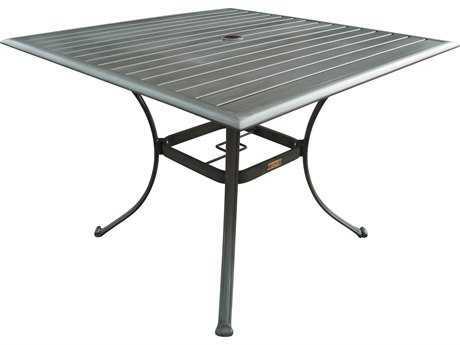 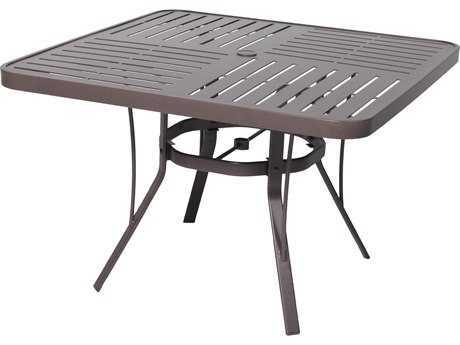 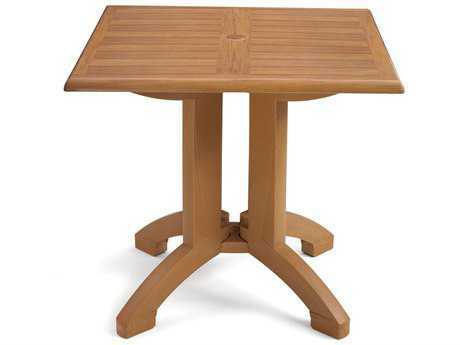 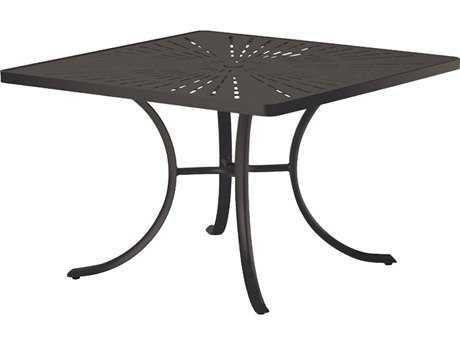 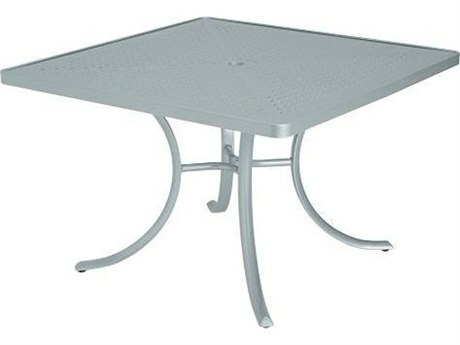 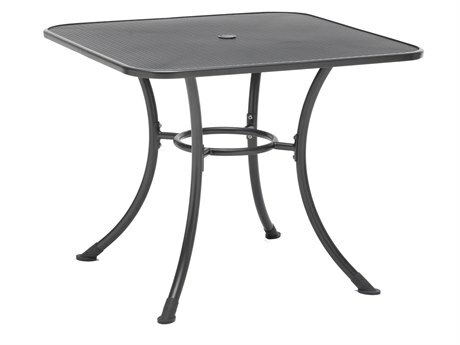 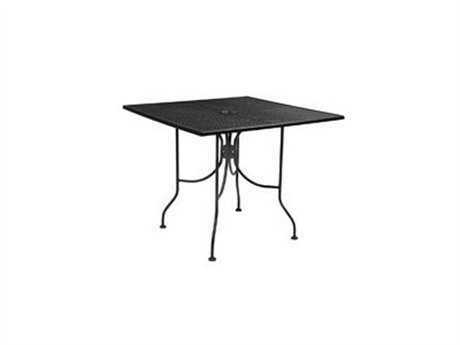 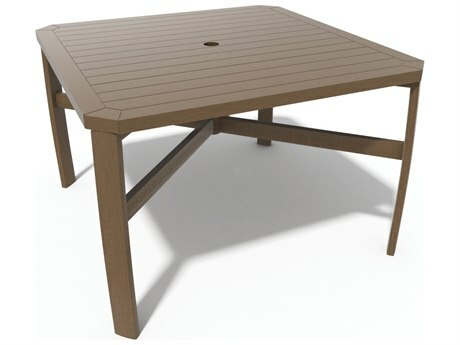 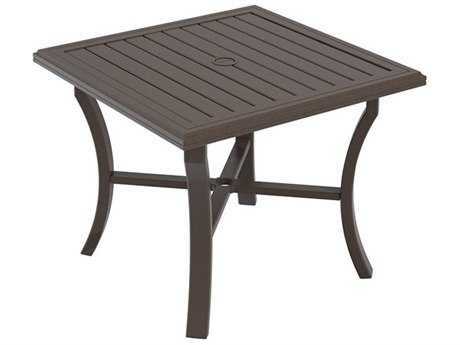 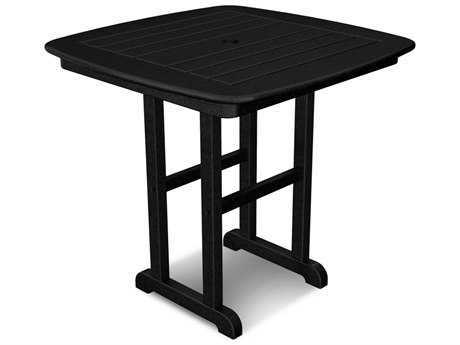 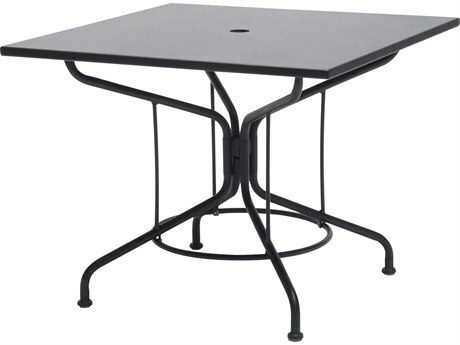 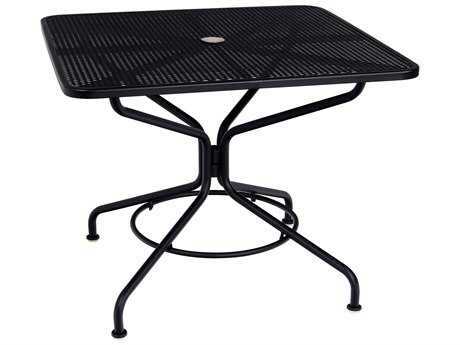 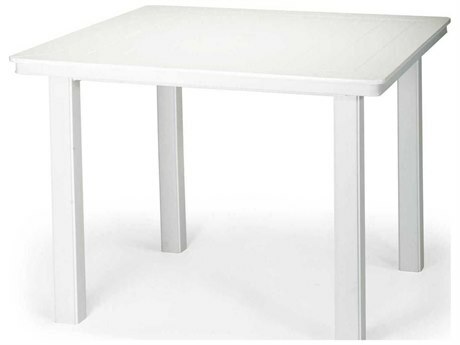 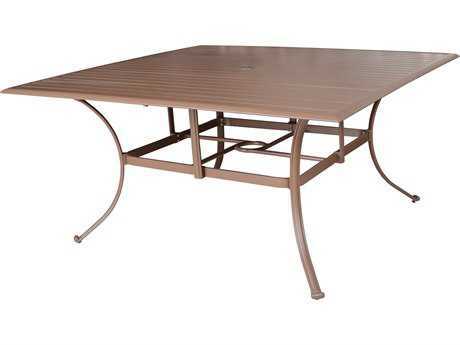 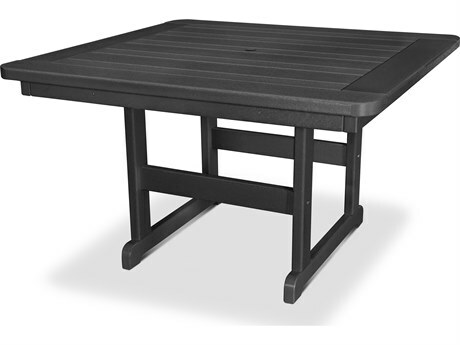 Square outdoor dining tables are a traditional dining table design perfect for entertaining guests. 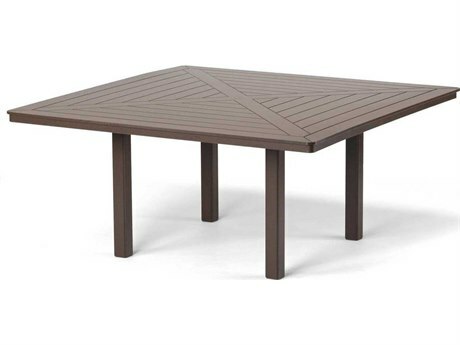 As part of a set including dining chairs, a square outdoor dining table can comfortably seat four or more guests for your next get together. 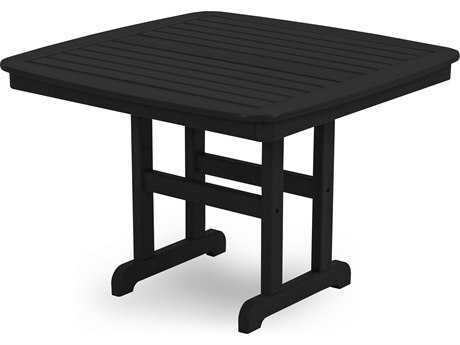 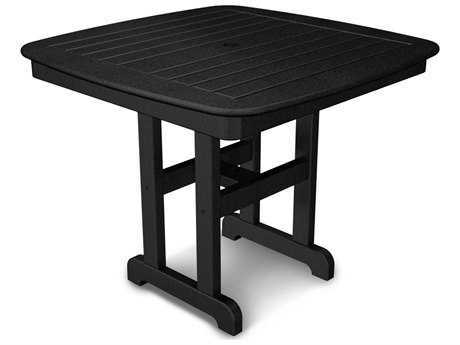 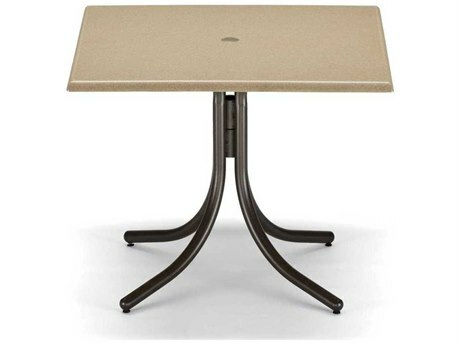 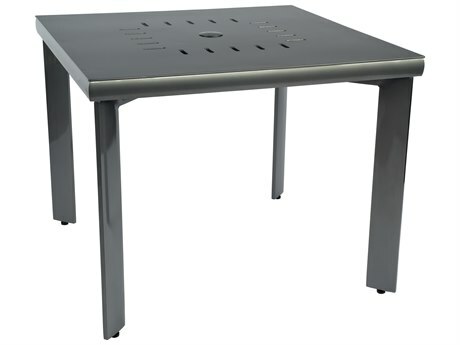 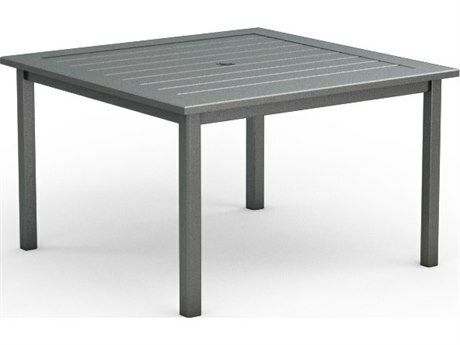 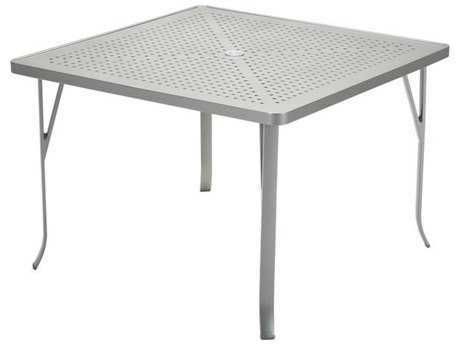 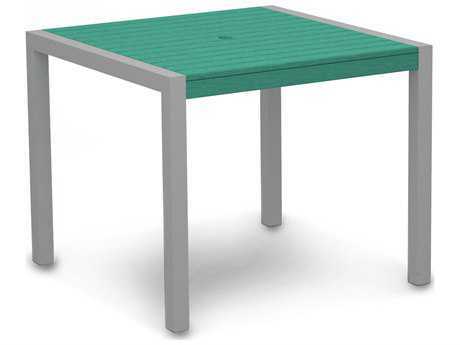 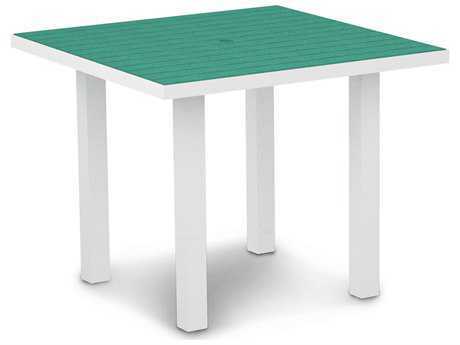 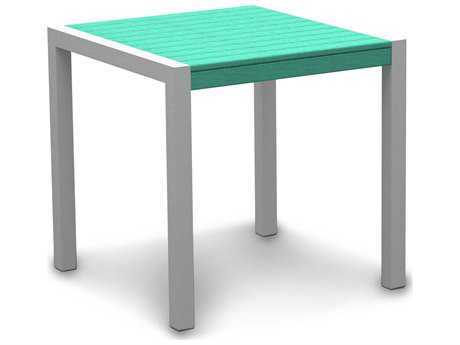 Square outdoor dining tables come in different sizes, materials, and colors, so you can choose the right table for your desired usage and aesthetic. 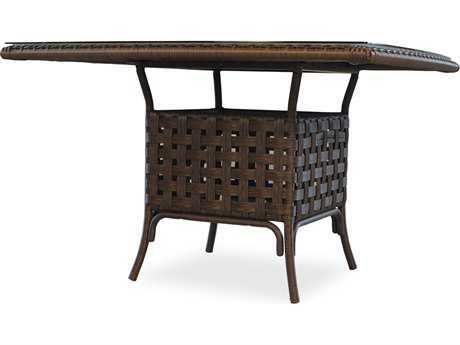 Materials include wood, aluminum, teak, wicker, and wrought iron. 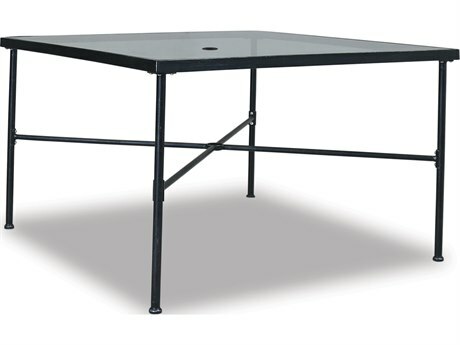 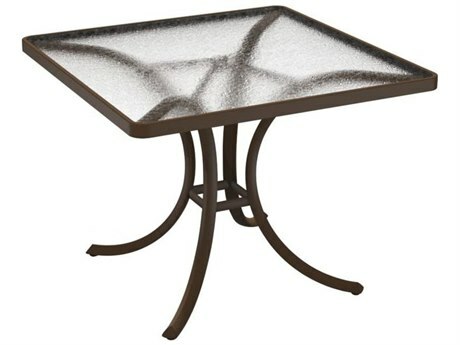 Some tables have a glass top for a unique look. 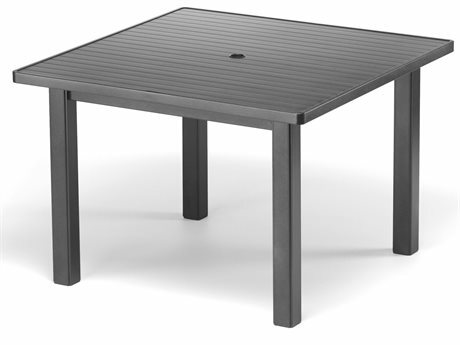 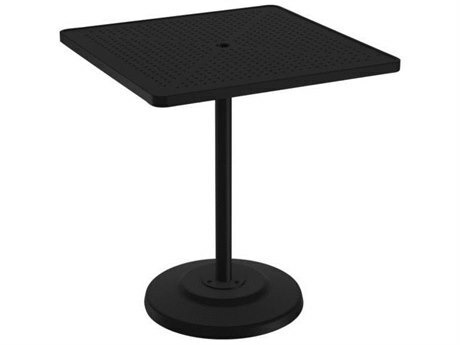 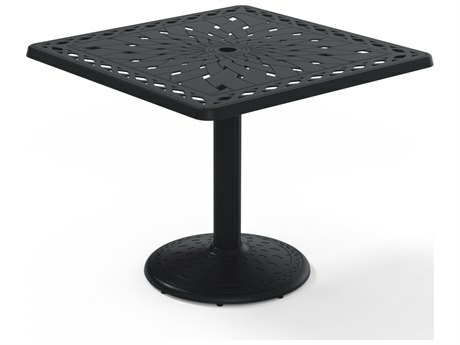 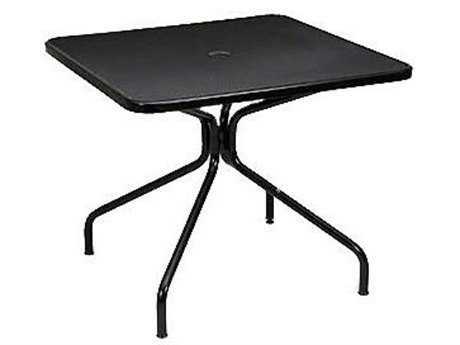 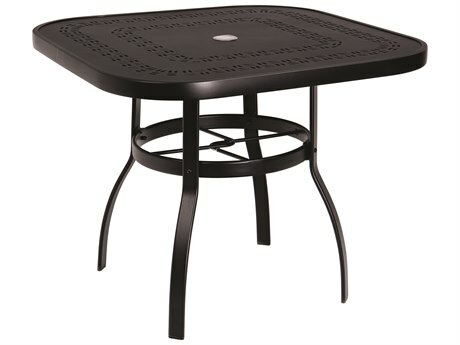 Many square dining tables have a center hole to place an umbrella and provide shade to your dining area. 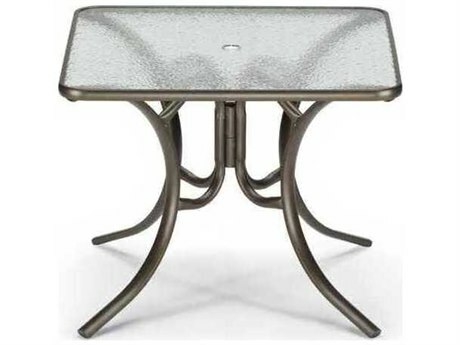 Square outdoor dining tables are a great option if you are trying to save space or do not often entertain large groups of people, for they provide an intimate setting to relax and enjoy your patio space.